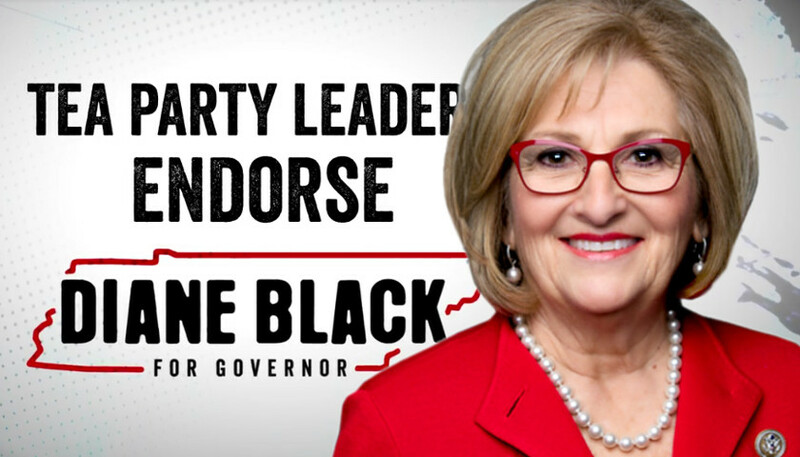 Diane Black’s campaign released a new ad Thursday featuring several Tea Party group leaders from around Tennessee, stating they would cast their primary vote in August for Diane Black for Governor. I was looking up some stories this weekend and kept coming across an unusual site called VolunteerState.Report. It was nothing but attacks on Black and Bredesen but had no attribution for who ran it or was behind it or contact info. No reverse DNS / WHOIS information either. It had sleazy Boyd campaign fingerprints all over it just for repeating his incessant attack ad talking points but isn’t it illegal to run a PAC site and not identify it to get around campaign finance laws? She’s still more conservative than “La Raza” Randy and his Haslam/Bush Crime Family supporters. Is she a perfect conservative? By no means, but if we took the advise of the perfect conservative crowd, we would have Lyin’ Ted and Carny Barker Glenn Beck giving amnesty and more teddy bears to MS13 Animals…no thanks…I’m a pragmatist/nationalist. I’m willing to take 70% of the loaf and be happy, not lose trying for 100% of the loaf…Who else with a realistic chance would you have us vote for? So they all have a “realistic chance” to prevail in the general election – polls are flawed, as Mrs. Clinton knows all too well…but the point remains that we should be looking at who best understands the issues and has the best (and most realistic) chance to make life better for our fellow citizens. Yes, Rep. Black has the greater margin in those polls, but not by as much as some would have you believe and it is more a function of her establishment connections rather than any fundamental aspect of her campaign. Prepare a simple matrix with the issues on one axis and the candidates on the other axis – fill in the blanks based on their published issues – not promised results, but an actual plan. All four leading Republican candidates are pro-life, pro-gun, and pro-whatever else people want to hear that will win their vote. The question is: which of those have an actual plan and also have the record to show the ability to successfully execute the plan? If Rep. Black is such a darling of the Tea Party, why is it that she never joined the House Freedom Caucus? Maybe because at the end of the day, Rep. Black is yet another establishment Republican hack whose voting record is more indicative of big government, not less. She is on the House Budget Committee and the role of that committee is to put limits on government spending – well, how’s that been working out for us? Her voting record does not match her rhetoric when it comes to voting for bigger government and the status quo. While we’re on the topic of her voting record, she has missed more than twice the number of votes of the average member of Congress. That has taken a sharp uptick now that she is running for Governor – now she’s missing 50%(!) of the votes. How long would you have your $174000 a year job if you didn’t show up half the time because you were interviewing for a new job? Just proves there’s well meaning but misguided people everywhere! And we wonder why we have a swamp in Nashville and DC.